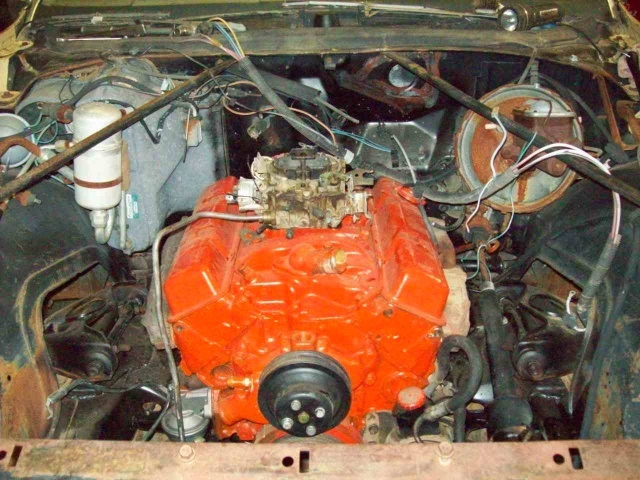 This is my 77 sprint that I am putting a 73 nose on.350 with a 4 speed. The car had a six with a three in the tree but It was gone when I got the car. I love the BFG's... They make a junker look good!!!! 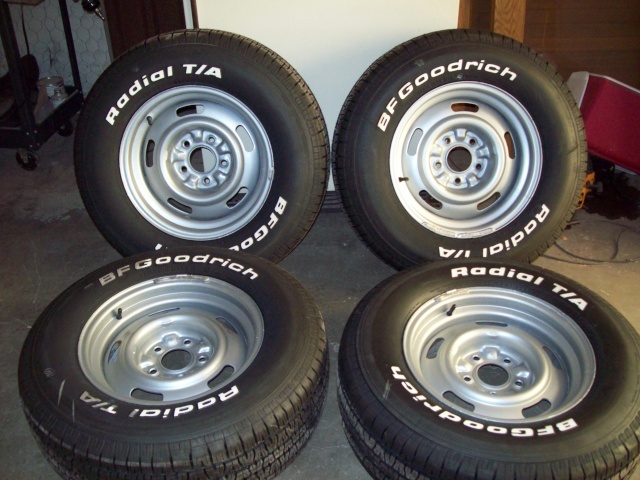 MMMMMMM I love me some BFG Radials on Rallys!!!!! Are the wheels 7" or 8"? I've got a set of brand new never used beauty rings for 8" rims. I don't like any bigger than 7" wide, myself. One ? whats the deal with the Bird/ TA ??? any parts for sale from it ?? Namely the rear spoiler if any good ?? 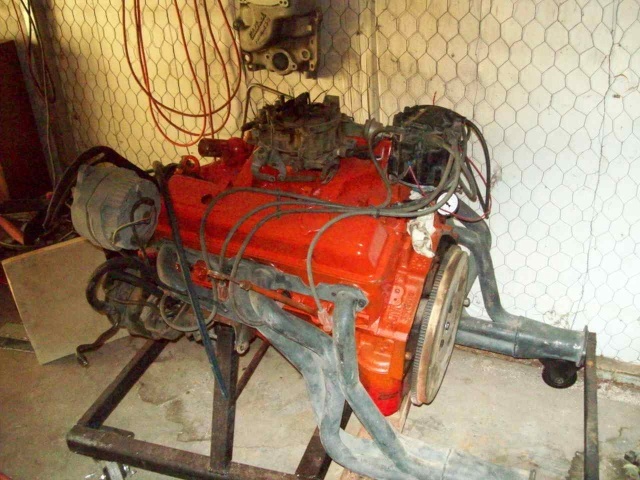 Looks like a fun project & good score on a manual trans car. I really like the 70, it looks to be a clean one for sure. Limey, I know what you are thinking. Do I smell an SE clone? It does have a little rust but not bad. This car has the original paint on It. The rust around here usually is from mud in the fender wells that holds moisture. 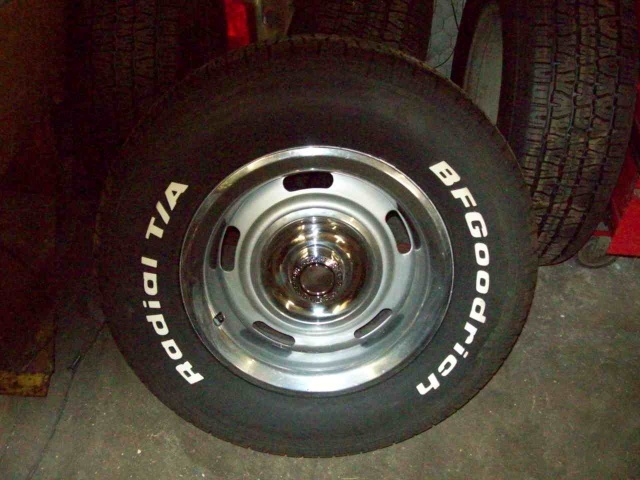 I personnaly like the rally wheels, and I have those on my "74 Malibu, and also using them on my Elco project. I have the original 7" width wheels. Looks like you have a fun project there SS ! 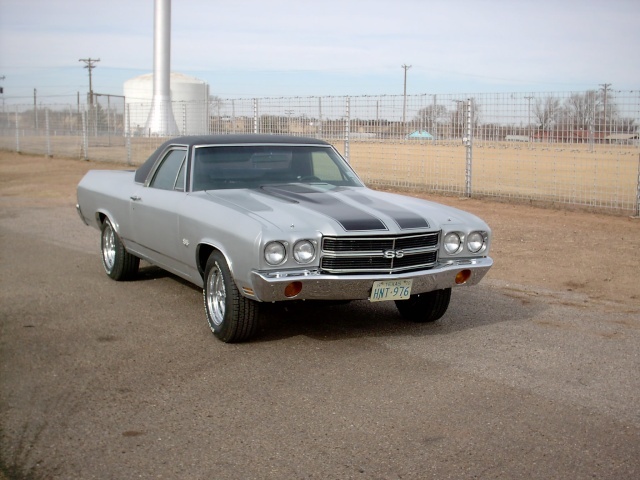 pila wrote: I personnaly like the rally wheels, and I have those on my "74 Malibu, and also using them on my Elco project. I have the original 7" width wheels. Same here. 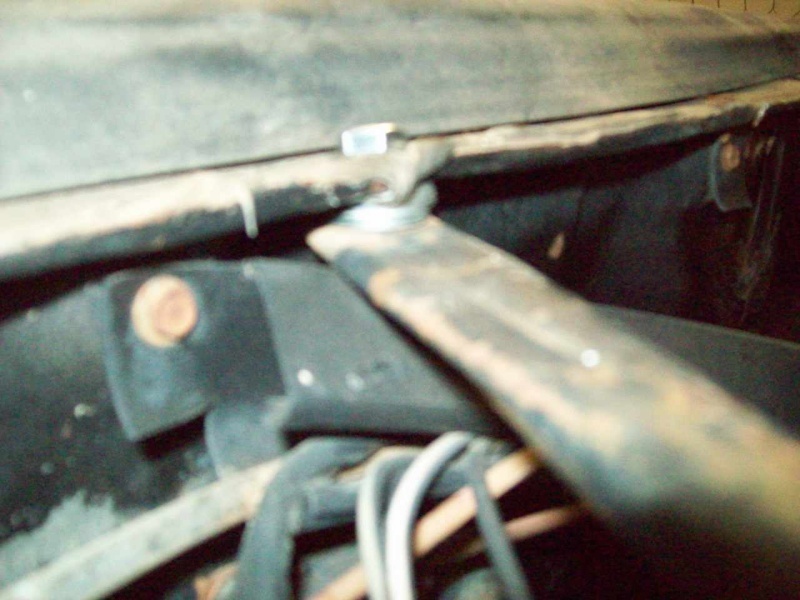 Got 'em on my Monte (original, on the build sheet) and they were on my '74 Chevelle. 15 x 7 on both cars. They're such a classic look. But I only like them on a cars they could be originally equipped with. I hate seeing a G4 Monte Carlo with them. 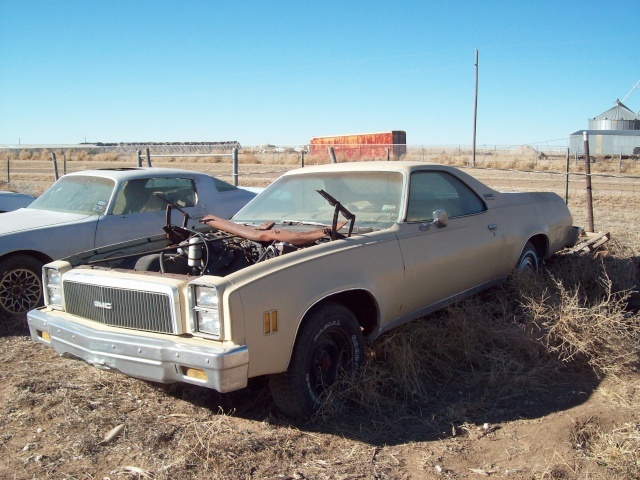 Or a "BOX" Caprice. Or better yet, saw last week, a Buick Regal with them. Even seen them on a few S10's. Dun like it. Here we go with the shaker install.... So far I have had to add spacers on the fender braces, Trim the rear of the shaker a little, used a 71 chevy pu air cleaner spacer to get It high enough am use a 66 chevelle 396 air cleaner base... Cleaned out my parts pile! !lol Next is work out a template for the hood !!!!! The shaker is 7/8" off center.... When I get the template centered in the hood I will drill the rivets out of the base , center It and attach It back to the base... 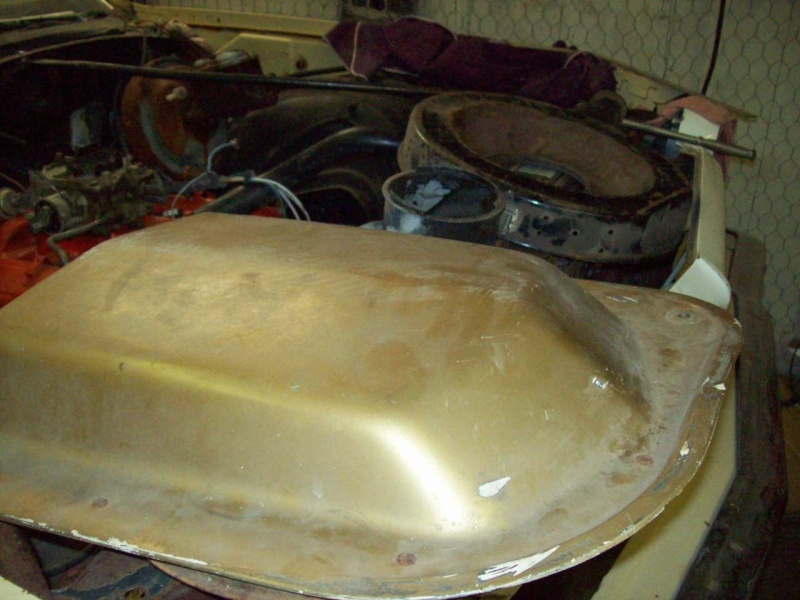 I think I will start with the hole in the hood and then fit everthing else to that !! I got a template from bending wire around the scoop then cut It out of cardboard.. 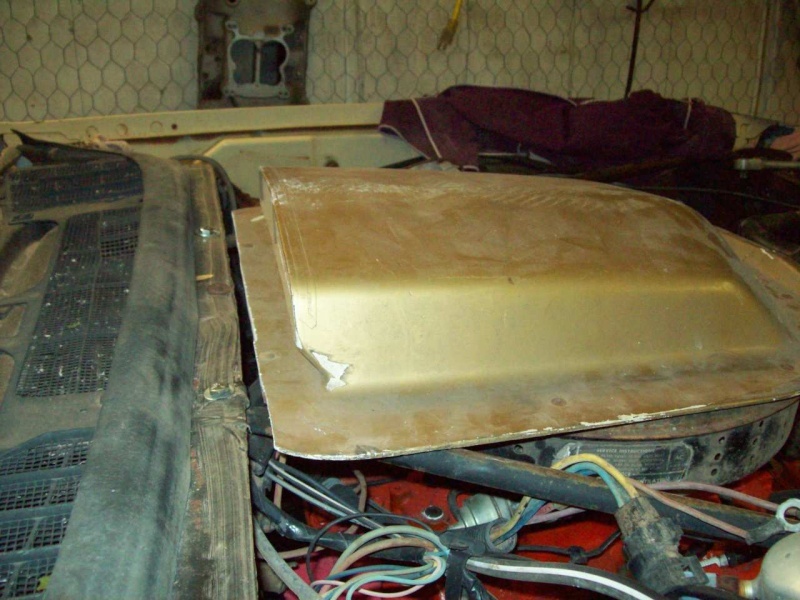 I will refine It and lay the pattern out on the hood. 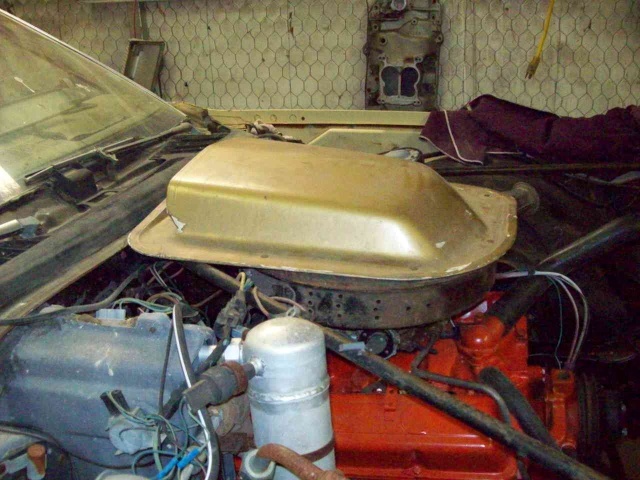 According to pontiac web sites the scoop will be in about the same position as a Trans Am.. When I get It cut I will weld some 1/8" round stock around the hole lip to give It a factory look !! Any input ??????????????? Yes Sir.. Thats good stuff... No one has a template for the hood hole !!!! Are the fender braces a must have ????????????? ?